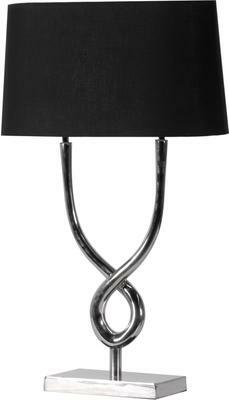 Truly one-of-a-kind, this Twin Stem Table Lamp can instantly add a touch of sophistication to your room. The design alone is worth raving about. It features a stainless steel chrome stem with a detailed twisted base. The stem extends to the gorgeous black shade which complements both the base and polished stem nicely. 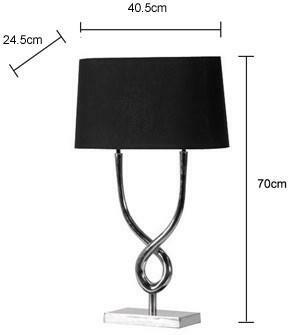 Use this inside your living room, maybe add it to a console table or area where everyone can appreciate it. This would also work inside the office. The simple design makes this easy to use in both traditional as well as modern spaces.